Today, MSV digs into the archives and pulls out this gem, an exclusive interview with Frank "Pupie" Raia from October 2010. The interview came in the heat of a highly contested fourth ward special election to fill then-Councilwoman Dawn Zimmer's vacated seat when she became acting mayor in Hoboken. Zimmer by law became acting mayor after the arrest and resignation in July 2009 of Peter Cammarano. He acted in the role for less than a month before his arrest at the hands of the FBI who with an informant taped him accepting $25,000 in bribes for zoning considerations in the Mile Square City. After the 2010 fourth ward special council election, an investigation would find its way to Trenton with the NJ Attorney General's Office but see no further action. Last week, the US Department of Justice announced an arrest connected to the 2013 Hoboken election for vote buying. As for this gem of a story, it's simply radiant. From the The Hudson Mile Square View archive, originally published October 28th, 2010. MSV can confirm affidavits filed in NJ Superior Court name two well known Hoboken individuals alleging their involvement in a suspected vote-buying scheme on behalf of Tim Occhipinti. Two individuals are named in the affidavits: Matt Calichio, who was mentioned earlier as possibly having problematic ties to the Occhipinti campaign on vote by mail transactions in the Hudson Reporter debate. 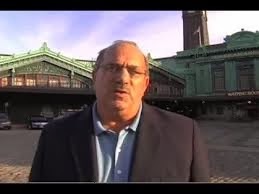 The other is Frank Raia, the perennial candidate in Hoboken elections, most recently for Mayor last November as a suspect in another signed affidavit. Frank Raia denied any wrongdoing earlier today. In an interview with MSV by phone, Frank Raia categorically denied he was involved in any way in vote by mail fraud. "I don't know what the hell this is but they are playing with the wrong guy. I can sue them all for defamation of character and sue them out of the town." In a ripping tirade, Raia complained, "You haven't seen me knock on one door. They are sore losers. They should blame it (the election) on themselves." Raia continued in a blistering rebuke of the charge in the complaint saying he knew nothing about it, "Whatever I've done, I've done for Dawn Zimmer, whatever they are accusing me of," he stated. He then added ominously, "I will sue them all and drain all their money until they're homeless. Go after someone else." Raia ended by saying, "There will be repercussions if they play with me. I put them (Mayor Zimmer and Mike Lenz) there. Without me, she wouldn't be in that chair (mayor's office.) They will pay. I will wipe them out. Go and pick on somebody else. They're desperate because they know they're going to lose." Related: Over at the Hudson County View, John Heinis picks up on the public portion of the story where MSV left off yesterday and details more of the underwriting for the 2013 Let the People Decide political committee in Hoboken.